Good morning our Dearest Customer. My name is Mudiana, very glad to share with you about Sangeh Monkey Forest, Lets join morning trip with our Bali Good Driver who will look after you for a day and we do hope the weather is good so we can have good walk into the Jungle and also can take many photo around the jungle with the monkeys, photo the Temple, the tree and all can be catch if the weather is supported our day visit. If asked about provinces in Indonesia that have the most famous tourist attractions in the whole world, maybe Bali is the answer from 35 province that we have in Indonesia. Bali has so many tourist attractions that are admired by international tourists and local either. 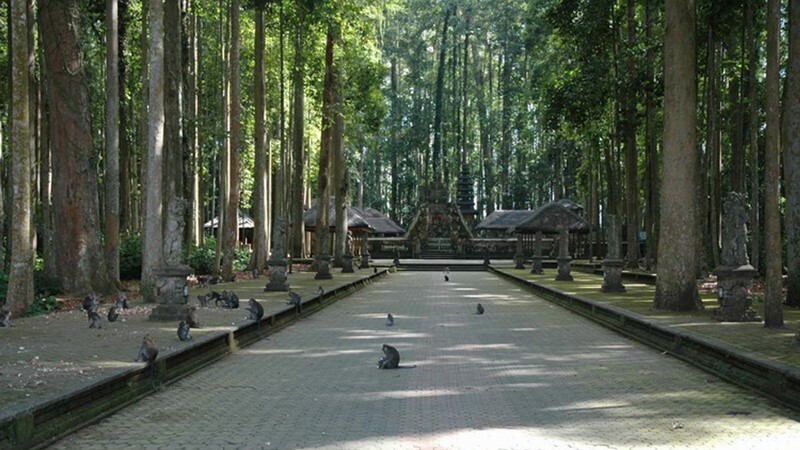 Because of the many tourist attractions in Bali, there are some of them which may be rarely known, one of them is Sangeh Monkey Forest. Sangeh Monkey Forest Bali is famous as a place for monkeys, if compare with other Monkey forest like Ubud Monkey Forest is more famous which is more often exposed to the media, mainly because of many foreign and Indonesian famous artists who often travel to Ubud Monkey forest and also because it located in the heart of Ubud which is very access to visit for those who come to Ubud to visit or for those who stay around Ubud Center can come walk easily to Ubud Monkey Forest. Other Famous spot to see Monkey is in Uluwatu Temple in Pecatu there are also quite a lot of monkeys hanging around in the tourist area, but the main attraction is not the Monkeys but the Temple as the magnet for tourist to come here, spend some time to see the gorgeous cliff with Indian Ocean and also they can witness The Kecak and fire dance at open stage near The Temple. Sangeh tourist attraction is located in Badung Regency, Bali, precisely in the village of Sangeh in the district of Abiansemal, located across the street to Pelaga. The distance is not too far from the Bali Airport, only need to travel approximately 1.5 hours to arrive at Sangeh Monkey, if no traffic, we can reached Sangeh within 1 hour drive. Its also located very close to Taman Ayun Temple, so if visit Taman Ayun Temple, need drive another 25 minutes to north east, you will be at Sangeh. Sangeh can be said as one of the silent witnesses of the heyday of the Mengwi kingdom. The witness to the grandeur of Mengwi’s heyday can be seen in Taman Ayun Temple. In Sangeh there is also a temple called Pura Bukit Sari. Legend has it that the Bukit Sari Temple was founded by the adopted son of the Kingdom of Mengwi in the seventeenth century, Cokorda Sakti Blambangan. The adopted son was named Anak Agung Anglurah Made Karangasem Sakti. According to legend, the beginning to Anak Agung Anglurah Made Karangasem Sakti founded the Bukit Sari temple due to the subtle whisperings he received. The revelation said to establish a temple in the Sangeh forest. After being established, Bukit Sari Temple continues to be maintained and used as a place of worship for the surrounding community. This mythological story about Pura Bukit Sari is written on Lontar Babad Mengwi. The daughter of Ida Batara at Mount Agung is reportedly eager to be visited in the Kingdom of Mengwi. Nutmeg forest on Mount Agung, the place where Princess Ida Batara Gunung Agung lives, moved mysteriously at night. The journey of nutmeg trees is seen by local residents around Sangeh Village. That is what causes these trees to not be able to continue their journey to Mengwi and currently continue to settle in Sangeh Village until now. The name or mention of Sangeh on this Sangeh Bali tourist attraction was the beginning because the surrounding community believed that nutmeg trees in this forest came from Mount Agung by walking alone rather than being transported with a type of vehicle at that time. Because these trees are seen by people, they immediately stay in that place, so in the end they are called Sangeh (Sang means: person/ Ngeh means :see), which means the place where people see trees walking and the trees are silent after seen by people. It is said that the Great Son of Anglurah Made Karangasem Sakti (adopted son of the first King of Mengwi), found the former pelinggih building in Sangeh Village around nutmeg trees. Cokorda Sakti Blambangan (First Mengwi King) ordered to rebuild the temple and finally was given the name Pura Bukit Sari. At Pura Bukit Sari, the one who is worshiped is Ida Batara Gunung Agung and Batara Melanting. As for the monkeys in the Sangeh forest or around the Evidence Sari Temple, according to the stories or stories that have been circulating for generations, the monkeys have their own kings whose territory consists of three kingdoms. This king is the highest king of all groups of monkeys that exist. Each group has its own leader, while the king is the highest leader for all groups. This highest king is in the most extensive place in the Sangeh region which is around the sacred Bukit Sari Temple. To choose the leaders of these apes, they choose those who have the strength and charisma above the average. Being the leader of the monkeys or apes, the advantage is having more rights than ordinary monkeys, especially in obtaining food rations and marrying female monkeys. The monkey king (the elder) had the opportunity to eat as much food as he could. If you are satisfied, then the leftover food will be given to other monkeys. What Is Other tourist attraction near Sangeh? Visitor may combine the visit with adventure river Tubing at Penet river with fun tubing adventure, child from 5 years can joined the trip, duration of tubing 1,5 hours. You may combine the visit with Swing at one of most swing spot in Bali, its located at Bongkasa Pertiwi village, spend your time to swing and take photo selfi at the nice spot which is provided by Bali Swing. Elephant Ride at Bali Elephant Camp. 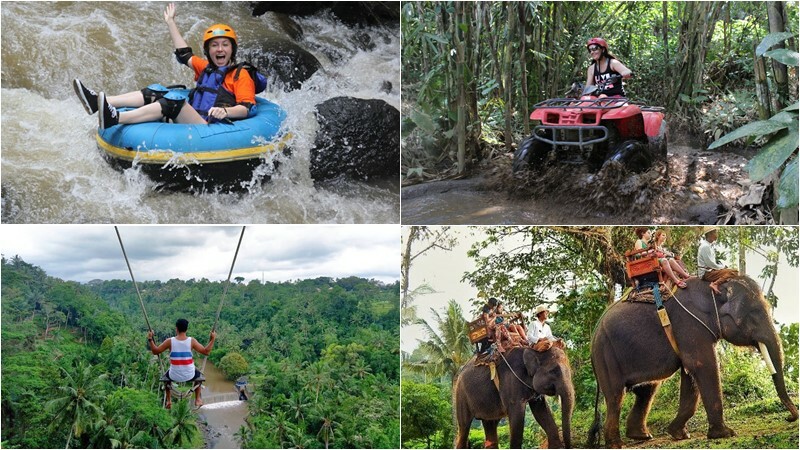 Combine your visit with the most exciting adventure in Bali with riding the Sumatran along the tropical jungle for 30 minutes ride. QUAD BIKE RIDE: Your visit to Sangeh can combine with Atv ride at Bongkasa village with 1,5-2 hours ride atv along the village, fields, jungle garden and mud wet trek. Other attraction that you can combine after visit Sangeh such as: Ubud Center, Tanah Lot Temple, Ayung River Rafting, Bedugul, Cattle market of Beringkit.